© 2019 CS Solutions, All rights reserved. There are many new and innovative web designs emerging everyday, and so are the mobile devices along with their screen resolutions. Web designing company in USA states that it is being difficult to cope up with such changes, in context to presenting the websites that are fluid to adjust according to the screen size. It seems so impractical when such devices with varied resolutions, try to access certain apps or websites which are not responsive. The current size of such websites and apps varies a lot and also their pixel density. Today, any small or large businesses want their presence to be accessed from every single device from smartphone to book or slate. They cannot just afford to lose any visitor. 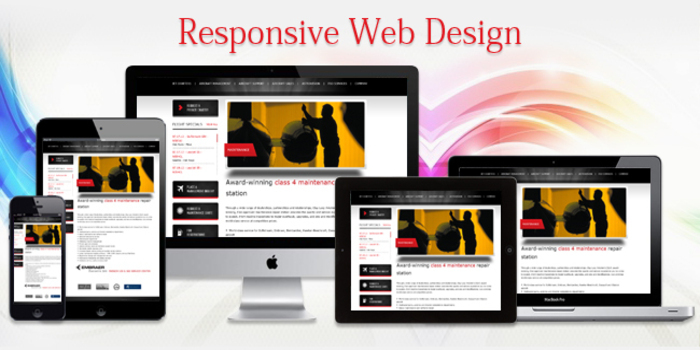 Keeping in mind this type of scenario, responsive web designing was introduced. It acts as a solution to the dynamism of all the devices where in the website design responds according to the screen size, resolutions and other related parameters. Let us know more about this. Responsive website design is meant to resize, scroll and pan the content or image to make them adjustable on various devices. The main idea behind this is to make the navigation process easier. Another important aspect is, when a visitor is looking at business websites and finds everything bloating up, then it can be very unpleasant experience and they generally tend to leave. While utilizing responsive web design, there is a possibility of displaying limited content to the visitors as and when required. There is a constant increase in demand of creating websites that runs on different devices and adjust various elements according to the needs of the clients. The professionals from responsive web design company USAensures that the navigation and other similar elements of the website are working perfectly as per the screen size and orientation of the device. This ultimately makes it possible for them to manage a single website on mobile or desktop and hence save huge on development costs. And, here comes the best part – Responsive website design layout is created in a way that suits all the proportion based grids and other extensions. It is simple and user-friendly that open gates for a much simplified functionality.